Each day is a new chance to experience life and learn new things. When you're on campus doing both, make sure you'll fully equipped with what you need in one of these Pi Kappa Alpha Bags, Briefcases and Totes. You can get a lot more done in your day when you're feeling organized and confident that all of your personal items are safely packed away. When you fill the Emblem Briefcase with your books and notepads, then snap it closed, you can rest assured that your things are protected and safe -- even in harsh weather. It's a really nice bag that comes in red with a black handle, zipper and snap closures. 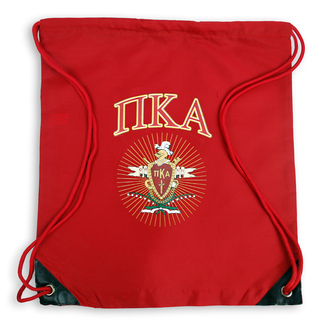 We sell a Pi Kappa Alpha Backpack that's very affordable (around $25) and looks amazing. It will grab a lot of attention, with its bright red coloring and PIKE coat of arms on the front pocket. Buy a Crest Cinch Sack as well for those light days when all you have to do is hand in a few papers or take a quiz, then head to the dining hall to catch up with friends. Go to school organized this year with Pi Kappa Alpha Bags, Briefcases and Totes in tow. 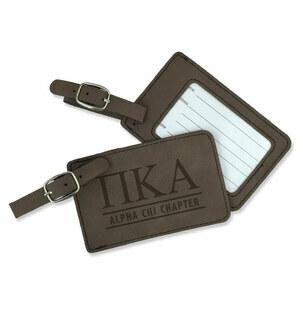 Get your travel bags and luggage tags here also. 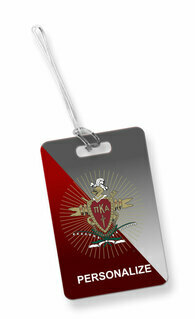 Pi Kappa Alpha Bags, Briefcases & TotesThe Greatest Selection. Period.